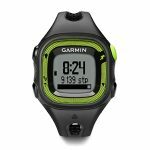 The Garmin Forerunner 15 is a running-centric smartwatch designed for multi-sport athletes. 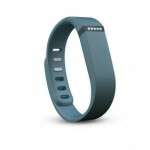 It includes a heart-rate monitor, and activity tracking features so runners can record � and improve - their stats. Unlike most fitness devices, the Forerunner 15 includes integrated GPS so it can track location accurately even when not synced with a smartphone. The battery will last for up to 8 hours with GPS on, or up to 5 weeks in watch and activity tracking modes.